I am honoured to have been invited to address this important convention. This view is most relevant in South Africa where what we are dealing with is not merely the accumulation of wealth in relation to the elevation of the people as a whole, but where the deepest challenge is the reversal of centuries of racial social and economic discrimination and exclusion. All these points say this that our struggle for freedom was more than a struggle for formal political democracy; and that freedom would hence be meaningless unless it was total and addressed itself as well to the social aspirations of the majority. It says that when we gained political freedom in 1994, South Africa was in an awful state both politically and economically; and the new democratic state had to address not only the challenges of a stagnating economy but, most importantly, the legitimate expectations of the hitherto disenfranchised who yearned, genuinely, for political and socio-economic inclusion. It is noteworthy, and perhaps most relevant to this convention, that Hirsch then confutes the notion of a political miracle often used to describe the virtually peaceful transition from apartheid to democracy, but makes bold to say that this was the outcome of 'extraordinary leadership' on the part of the protagonists of the 1994 settlement. Struggle, sacrifice and extraordinary leadership is what ultimately cornered the apartheid monster and extraordinary leadership is what ultimately distinguishes good and bad organisations, between successful and less then successful organisations. The point I wish to make very succinctly, in addition to the one about extraordinary leadership, is that our transformation trajectory is about the political and social policy choices we have made having taken into consideration all factors, both objective (beyond our control) and subjective (within our sphere of influence and direction). As a country, the path we chose out of and away from apartheid-colonialism was always characterised by strong, decisive and effective leadership, even if we consider the periods before 1912 when the ANC was formed. The same is true in relation to the state we are building and its capacity – it must reflect that notion of fundamental transformation and effective leadership. When it could have been easy and fashionable to pander to youth emotions and appeal to populism, Tambo risked the ire of the militant youth and dared them to go back to school and to regard this as a revolutionary act that would put us in a better position to govern a free South Africa. Of course, as it was apparent in many of his speeches, Tambo was never in doubt as to the inevitability of victory over oppression and majority rule. Today, the question of leadership assumes a new dynamism, given the stage at which we are with social transformation. Victory over poverty, inequality and unemployment – indeed, victory in our quest for the social inclusion of the vast majority of South Africans – requires that we not only have the boldest and clearest vision for the future, but that we should additionally have the extraordinary leadership both capable of and equal to the task we are undertaking. In this regard, this leadership refers both to individuals and collectives of leadership. In an article, Constructing the 21st century developmental state: potentialities and pitfalls, Peter Evans states that: 'History and development theory support the proposition "no development state, no development". The idea of a developmental state puts robust, competent public institutions at the centre of the developmental matrix.' (In Omano Edigheji¸ 2010, Constructing the 21st century developmental state: potentialities and pitfalls, p. 37). The issue of a capable state has received a great deal of attention in the National Development Plan and much of the discourse in our country about how best to construct a developmental state. Among others, some have argued that such capability must precede the developmentalism while others argue that it must follow it, and yet others argue that the two must complement and/or reinforce each other. The issue of competent institutions is as important for us as that of competent and effective public servants, as the former is impossible without the latter, while the latter would be futile without the former. Of course, much of the discourse around the world involving the developmental state has focused on the East-Asian experience. However, it is also important in regard to the developmental states discourse in Africa to note that Professor Thandika Mkandawire points out that in Africa, the state has been subjected to severe criticism ever since independence, which had the effect of further weakening an already weak African state. This is the point South Africa recognised way back at the advent of its democracy that economic growth, redistribution and development must be central and topmost to the social agenda of the new dispensation. Of course, pursuing a developmental state does not by a long shot mean that the private sector has no role and that it does not need effective leadership. Neither are we assuming that the private sector has effective leadership itself. 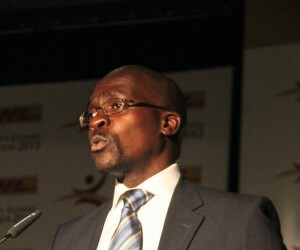 However, what cannot be refuted is the fact that both the public and private sectors need effective leadership in order to pursue this 'decisive shift to meaningful economic transformation and set in motion a very deliberate programme that will ensure the benefits of our political liberation are shared amongst all our people' that President Zuma spoke about in 2011. 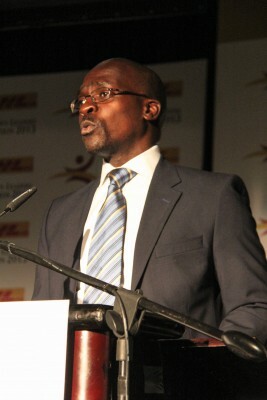 To implement the current infrastructure rollout programme has necessitated that effective leadership structures be established to ensure co-ordination, integration and focus, particularly as various ministers and departments are being challenges to move out of their comfort zones and silo approaches. This is because programmes of such magnitude, requiring such massive mobilisation of human and financial resources and levels of co-ordination and integration, cannot drive themselves without effective leadership. Accordingly, we must view state-owned companies (SOCS) not as an end in themselves, but as instruments to achieve particular developmental goals. This means that we must continue to strengthen the governance mechanism of the SOCS, to resolve the policy vacuum under which they operate and address the deficiencies in their balance sheets. As important as resolving the policy vacuum at the level of shareholder governance model, SOCS must resolve the issues of corporate governance and financial stability. At a broader level, the importance of a shareholder governance model spelling out the SOCS’ mandate as well as their institutional architecture is confusing them in terms of their commercial and developmental mandates, impedes the pursuit of their mandate and weakens their leadership. Developing countries that achieved development, particularly in Southeast Asia, did so because they had effective leadership and long-term visions, unimpeded by political and policy instability, uncertainty and short-termism that emanates from that. Furthermore, they developed strong and capable states with effective institutional mechanism and invested in new layers of leadership and had effective succession plans. For South Africa, now that we have the National Development Plan, the New Growth Plan, the Industrial Policy Action Plan, we need not only leadership stability but also policy stability and boldness successfully to accomplish the decisive shift toward economic transformation. Such effective transformation will, of necessity, consist in decisively shifting our economy away from extractive industries toward higher-value economic output through beneficiation, industrialisation, localisation and the development of supplier sectors on the back of our infrastructure rollout and minerals extraction. The test for effective leadership will rest precisely on this fact that we have succeeded to transform the structure of the economy, uplift those in the informal economy to integrate them into formal and globally integrated sectors, develop the skills, particularly of the youth and create the much-needed jobs.